Welcome to this custom built home in Olde Tabby Park on desirable Cat Island. Located on the 6th fairway of the Sanctuary Golf Club features 3 large bdrms, 3.5 bth & a large bonus room with walk in closet that could also be used as a 4th bdrm. 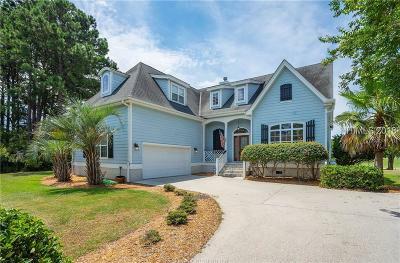 Nestled on a quiet end street without through traffic, you can sit back and relax on the screened in porch or open deck overlooking the golf course. Top quality construction includes crown molding, recessed lighting, 1'' solid oak wood floors, home security alarm system, upgraded ceiling fans in all rooms, wired home network system.